The Ninety-sixth United States Congress was a meeting of the legislative branch of the United States federal government, composed of the United States Senate and the United States House of Representatives. It met in Washington, D.C. from January 3, 1979, to January 3, 1981, during the last two years of the administration of U.S. President Jimmy Carter. The apportionment of seats in this House of Representatives was based on the 1970 Census. Both chambers had a Democratic majority. 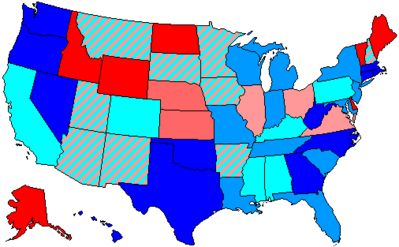 November 4, 1980: United States elections: Reagan/Bush defeated Carter/Mondale. Republicans gain control of the Senate; the first time Republicans gain control of any chamber since 1954. Senators are popularly elected statewide every two years, with one-third beginning new six-year terms with each Congress, In this Congress, Class 3 meant their term ended with this Congress, requiring reelection in 1980; Class 1 meant their term began in the last Congress, requiring reelection in 1982; and Class 2 meant their term began in this Congress, requiring reelection in 1984. (D) Resigned May 7, 1980 to become United States Secretary of State. (D) Resigned December 29, 1980 to give successor priority in seniority. (D) Resigned December 30, 1980 to give successor priority in seniority. (D) Resigned January 2, 1981 to give successor priority in seniority. Secretary for the Majority: Howard O. Greene, Jr. Clerk: Edmund L. Henshaw, Jr.
"Videos of House of Representatives Sessions for the 96th Congress from www.C-SPAN.org". "Videos of Committees from the House and Senate for the 96th Congress from www.C-SPAN.org". 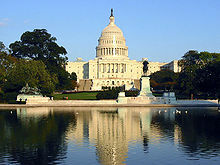 House of Representatives Session Calendar for the 96th Congress (PDF). Congressional Pictorial Directory for the 96th Congress. Congressional Pictorial Directory for the 96th Congress (Revised). Official Congressional Directory for the 96th Congress, 1st Session.